The Norwegian Nobel Institute is located in Oslo, Norway. The institute is located at Henrik Ibsen Street 5 in the center of the city. It is situated just by the side of the Royal Palace, and diagonally across the street from the former U.S. Embassy. Olav Njølstad is a Norwegian historian, biographer and novelist. He is director of the Norwegian Nobel Institute. Born in Sulitjelma, Lundestad studied history at the University of Oslo and University of Tromsø, graduating in 1970 with a cand.philol. degree and in 1976 with a doctorate respectively. From 1974 to 1990, he held various positions as Lecturer and Professor at the University of Tromsø before beginning his positions with the Norwegian Nobel Institute and Committee. Subsequently, he has been associated with the University of Oslo as an Adjunct Professor of International History. Lundestad spent several years in the United States as a research fellow, at Harvard University, from 1978 to 1979 and again in 1983, and at the Woodrow Wilson Center in Washington, D.C., between 1988 and 1989. Sulitjelma (Norwegian), Sulisjielmmá (Lule Sami), or Sulitelma (Swedish) is a village in the municipality of Fauske in Nordland county, Norway. Sulitjelma is situated in a lush inland valley at an elevation of 140 metres (460 ft) above sea level. It is located on the shore of Langvatnet lake, about 35 kilometres (22 mi) southeast of the town of Fauske. The lakes Låmivatnet, Kjelvatnet, and Muorkkejávrre are located to the east and south of the village. The University of Oslo, until 1939 named the Royal Frederick University, is the oldest university in Norway, located in the Norwegian capital of Oslo. Until 1 January 2016 it was the largest Norwegian institution of higher education in terms of size, now surpassed only by the Norwegian University of Science and Technology. The Academic Ranking of World Universities has ranked it the 58th best university in the world and the third best in the Nordic countries. In 2015, the Times Higher Education World University Rankings ranked it the 135th best university in the world and the seventh best in the Nordics. While in its 2016, Top 200 Rankings of European universities, the Times Higher Education listed the University of Oslo at 63rd, making it the highest ranked Norwegian university. The Norwegian Academy of Science and Letters is a learned society based in Oslo, Norway. East, West, North, South: Major Developments in International Politics Since 1945. (Oslo - Oxford, 1987, updated in 1991, 1996, 1999, 2004, 2010 and 2014) English, Norwegian, Swedish, Russian, Chinese and Turkish editions. "Empire " by Integration: The United States and European Integration 1945-1997. (Oxford, 1998.) Japanese edition 2005. 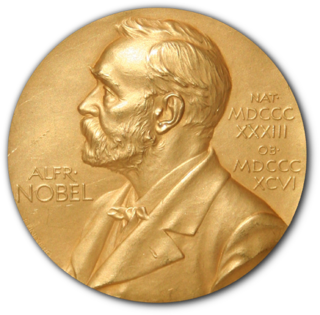 “The Nobel Peace Prize” in Agneta Wallin Levinovitz and Nils Ringertz, eds., The Nobel Prize. The First 100 years. (London – Singapore, 2001). The United States and Western Europe Since 1945: From “Empire” by Invitation to Transatlantic Drift. (Oxford, 2003, paperback 2005), Norwegian edition 2004. Christian Lous Lange was a Norwegian historian, teacher, and political scientist. He was one of the world's foremost exponents of the theory and practice of internationalism. Francis Sejersted was a Norwegian history professor and the chairman of the Norwegian Nobel Committee from 1991 until 1995. Ole Danbolt Mjøs was a Norwegian physician and politician for the Christian Democratic Party. A professor and former rector at the University of Tromsø, he was known worldwide as the leader of the Norwegian Nobel Committee from 2003 to 2008. Halvdan Koht was a Norwegian historian and politician representing the Labour Party. Gunnar Jahn was a Norwegian jurist, economist, statistician, politician for the Liberal Party and resistance member. held several important positions, such as Norwegian Minister of Finance and Customs from 1934 to 1935 and in 1945, chair of the Norwegian Nobel Committee from 1941 to 1966 and Governor of the Central Bank of Norway from 1946 to 1954. Jacob Stenersen Worm-Müller was a Norwegian historian, magazine editor, and professor at the University of Oslo. He was a politician, a delegate to the League of Nations and the United Nations. Melvyn Paul Leffler is an American historian and educator, currently Edward Stettinius Professor of History at the University of Virginia. He is the winner of numerous awards, including the Bancroft Prize for his book A Preponderance of Power: National Security, the Truman Administration and the Cold War, and the American Historical Association’s George Louis Beer Prize for his book For the Soul of Mankind: The United States, the Soviet Union, and the Cold War. Asle Toje is a Norwegian foreign policy scholar and commentator. He is a former Research Director at the Norwegian Nobel Institute and a current member of the five-member Norwegian Nobel Committee. Toje is a regular contributor to the Norwegian foreign policy debate, including as a regular columnist in the Dagens Næringsliv and Morgenbladet. Toje has family roots on the island of Utsira. He grew up at Byremo and in Drøbak. The 2011 Nobel Peace Prize was jointly awarded to three female political activists. Two African and one Asian female were awarded for their persistence in obtaining equal rights for women. ↑ "CV". nobelprize.org. Archived from the original on February 20, 2009. Retrieved 2008-12-09. ↑ "Writer challenges story of hardship that led to a Nobel prize". cnn.com. 1998-12-15. Retrieved 2008-12-09. ↑ "Before Peace Prize announcement". San Antonio Express-News. Associated Press. 1992-10-16. Retrieved 2008-12-15. ↑ "Gruppe 1: Historie" (in Norwegian). Norwegian Academy of Science and Letters . Retrieved 26 October 2009.